Over the course of twenty-plus years, Al Lucchesi's Soundwave Studio and its predecessors have been home to virtually all of the East Bay's biggest names in music. The first time Alan Lucchesi ever heard the sound of a stray bullet was in 2002, when one came whizzing up the street about five feet from his head. It was sometime in the middle of the night, and Lucchesi was standing on Poplar Street in West Oakland, roughly a block away from the giant recording studio he'd just opened on 21st and Union. "It sounds like a big bumble bee — a big hornet," Lucchesi said, remembering how the thing blew past before he could make heads or tails of it. "It was surreal." As the owner of Soundwave Studios, Lucchesi is not the type of guy who anyone would try to shoot without reason — or mess with on a street corner, for that matter. Known to everyone in his orbit as "Al," he is a tall, solidly built man with a ponytail and a penchant for black clothing. Twenty years of running recording studios have taught Lucchesi how to deal with gangsta rappers, thugs, tweakers, and various criminal types lurking at the margins of the music industry. He won the respect of rappers Too $hort, Spice 1, B-Legit, Mac Dre, and the late Tupac Shakur, all of whom rented his studios. A few nights ago he chased a homeless guy away from the 21st Street building, uttering some vague threat about hanging the guy from a roof by his ankles. Lucchesi jokes about how his Italian ancestry gave him the toughness to set up shop in the sketchiest neighborhoods of Oakland, but the stereotype has an element of truth to it. Between 1985 and 2002, Lucchesi bought several large, dormant spaces — two warehouses, a converted manufacturing building, and a defunct taxi dance club — and turned them into giant facilities where local bands could rehearse, record music, and run their own businesses. All of Lucchesi's businesses launched in industrial or "transitional" neighborhoods that started developing a few years after he arrived: He infiltrated Temescal in the '80s, Jack London Square in the early '90s, and West Oakland about five years later, when he built the original Soundwave Studios at Wood Street, right off the freeway. 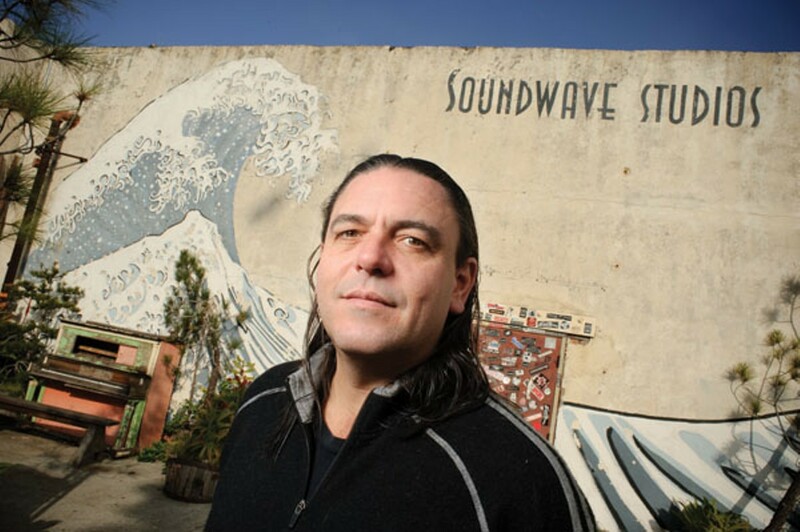 His current business, a 166-room studio and nearby rehearsal space that both operate under the name Soundwave Studios, is often characterized as the most significant music incubator in the whole Bay Area. It's no exaggeration. But in contrast to the high-tech, well-capitalized incubators that cropped up in Silicon Valley, Soundwave, like all of Lucchesi's previous studios, is a relatively low-budget enterprise. It comprises two West Oakland locations separated by railroad tracks — one on Wood Street, the other at 21st and Union. 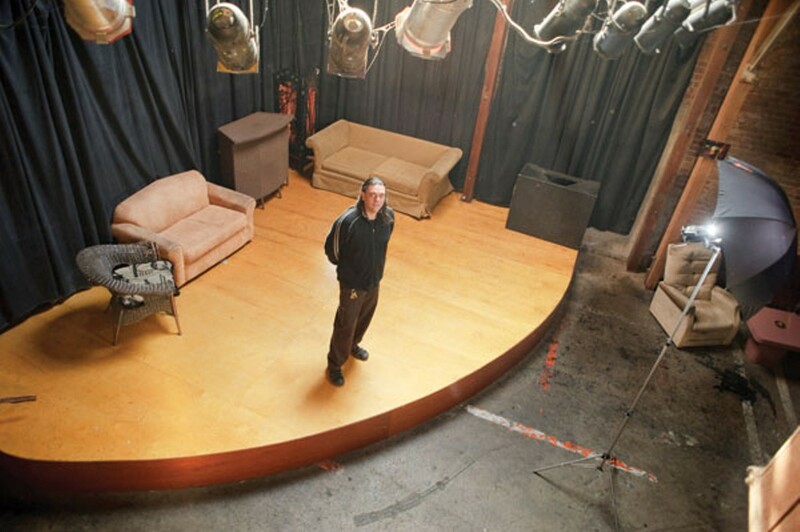 After the demise of the hugely popular Downtown Rehearsal in San Francisco during the dot-com boom, Soundwave Studios become the rehearsal space for East Bay bands and those who'd been priced out of the city. And because Lucchesi allows artists to run their own peripheral businesses within the larger machine, dozens of record labels, publishing companies, and fairly established East Bay producers thrive under the Soundwave umbrella. At this point, Lucchesi's studios have a kind of cachet: He's been around, in various iterations, more than two decades, and he's firmly rooted in Oakland. 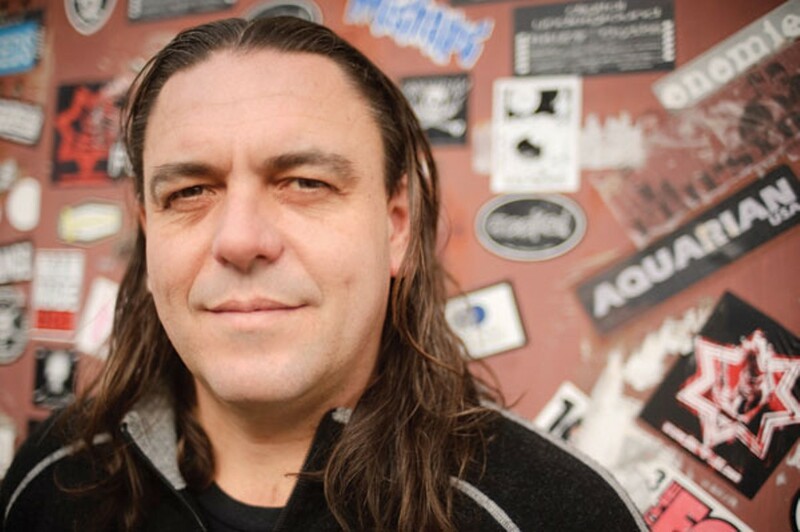 Just as Lucchesi has colonized various neighborhoods before they became hot, he's done the same for the East Bay's dominant musical styles of the last generation. When metal and new jack swing saw a renaissance in the '90s, Lucchesi provided rehearsal space for all the prominent Bay Area bands: Faith No More, Tony! Toni! Toné!, En Vogue, Sheila E, Primus, Metallica, Camper Van Beethoven, Counting Crows, Frankie Beverly, and Machine Head. He witnessed the rise of a West Coast rap scene spearheaded by Digital Underground, Too $hort, and Tupac Shakur. When genre-straddling came into fashion, Lucchesi became a de facto matchmaker for musicians who might not otherwise associate with one another. His businesses continued to thrive even after computers supplanted live instrumentation as the number one way to produce music. Lucchesi knew how to keep pace with the times, offering affordable, month-to-month spaces where artists could set up their own bedroom studios. At a time when other recording studios are suffering from the availability of new technology and lessening demand for a middle man, Soundwave shows no sign of faltering. The man who conceived it has become something of a folk hero in the East Bay music scene. He's referenced in the raps of Mac Dre. He could be credited for the genesis of now-famous bands like the Flipsyde. Lucchesi counts the Mars Volta, rapper Lyrics Born, the R&B singer Goapele, metal bands Testament and High on Fire, and even the Raiderettes cheerleading squad among his clientele. He threw the CD release party for Tupac Shakur's first album at time when Oakland clubs had pretty much declared a moratorium on hip-hop. The popular rock band Third Eye Blind used to be one of his most destitute customers. "Al found a lot of these bands when they weren't big and didn't have any money," said Flipsyde guitarist Dave Lopez, who started rehearsing at Lucchesi's 43rd Street studio in 1987, and later worked the desk at his subsequent venue on Jackson Street and current digs in West Oakland for thirteen years, until his band signed to Interscope. "Al would let it slide," Lopez continued. "And then they would end up being Rancid." Meanwhile, Al Lucchesi stays behind the scenes. Music and hard work were a part of Lucchesi's history. His grandfather immigrated to the United States in 1910 and worked in the slaughterhouse then located in Emeryville. His parents played in the San Francisco Symphony — his father on French horn; his mother on percussion. He considers the San Francisco Opera House to be an old stomping ground. Throughout his life, Lucchesi played drums in several rock bands that varied in quality — the most successful was Exhibit A, with the guitarist Alex Skolnick from Testament. (Lucchesi had been Skolnick's high school math tutor.) He graduated from the math department at UC Berkeley in 1987, but had designs on entering the music industry.